Rusty Watson is known for his work as vocal director with Bishop Walter Hawkins’ Love Center Choir and for penning For My Good on the choir’s Grammy nominated Love Alive V disc. “God has equipped and conditioned me to be able to write music that reaches the heart. I have been so blessed being a part of the ministry of Love Center and gleaning at the feet of Bishop Walter and the Father of Contemporary Gospel Music, Edwin Hawkins,” the St. Louis native, who now resides in Oakland, explains. 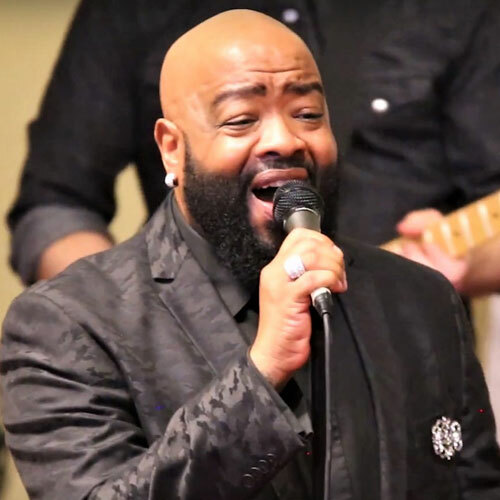 In addition to his work as vocal director, Watson’s credentials include a long standing career as background vocalist with the who’s who of the music industry including New Kids On the Block, Natalie Cole, Stephanie Mills, BeBe Winans and the late Reverend Daryl Coley. He has toured Africa with the late Andrae Crouch as well as sang for Oprah Winfrey’s Legend’s Ball and Sunday Gospel Brunch. Together, with acclaimed Music Producer Narada Michael Walden, he helps fuel Narada’s Great Gospel show including an amazing tribute to Edwin Hawkin’s “Oh Happy Day” – now celebrating its 50th Anniversay as one of Gospel’s all time favorites.